Hi, my name is Rod Van Dyke, and for the past 10 years I have managed Racquetball leagues in Central Florida. I started with a two division league in Winter Haven and now I manage a league in Ocala Florida with 8 divisions and almost 100 players! Like most people, I started off using paper schedules and a spreadsheet to track points. But as my league grew, so did all this manual work. On league nights I was getting phone calls, emails and texts from players reporting their scores and forfeits. I was falling behind and the players were getting frustrated; I knew I had to come up with something better. I wanted players to be able to see their schedule and standings online, at any time. And they wanted points to be recorded and standings calculated right away. The heart of TeamRBall is a fast, friendly set of tools that make league management a breeze. Schedules are a snap to build and show up online instantly and players can report their own scores right from this website. And the minute they input their scores, standings are recalculated for all to see! My workload went from four or five hours a week to almost zero, and my players were thrilled that everything was up to date, all league long! 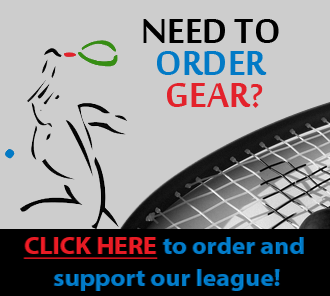 And now it's your turn, if you run a racquetball league and if any of this sounds familiar, then come join TeamRBall. We can setup your league with this website in just a few minutes.